T-shirt graphic represent you. 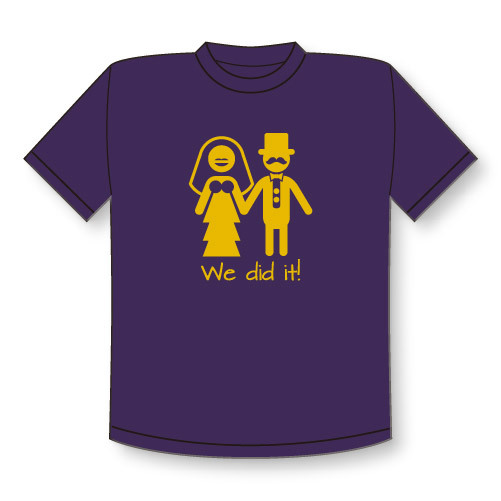 This design is best choice for just married couples. A bride and groom hand in hand. You would choose different color of the t-shirt.